Selling software is one area that is moving more and more online. Rather than picking up physical copies of a product, software users already have a computer, so it makes sense to just look online. Of course, this means the competition is even larger, causing software businesses to require a strong SEO strategy to remain visible. 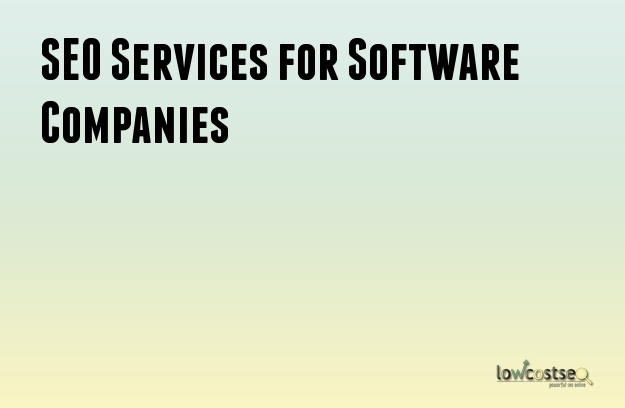 This covers companies that directly sell software wholesale, or even as SaaS (software as a service). Both involve reaching out to their respective audience online, so the right SEO tactics are vital. Depending on the nature of your software, you may need to conduct some thorough keyword analysis. For example, are you marketing towards home users or other industries? If its the latter, the technical terminology may be more prevalent. This is the difference between “design software” and “CAD CAM”. By targeting the right keywords, your website can be better positioned to finding the right audience and traffic. Content can then be produced and written to improve visibility, guiding people to the right product pages for their needs. Software is, arguably, something users will spend some time looking into, considering their options or looking for additional support. As such, you can use this to your advantage. As part of your website optimisation, it’s worth offering content that people are actively searching for. This can include tutorials and guides on using your own products, of course, but you should also consider answering commonly asked questions. If people ask how to design something, or how to complete a certain task, offer advice and step by step guides. Not only will this highlight the benefits of your products, it meets the needs of these people online. While it’s not a direct sale, your brand becomes more visible and these potential customers become exposed to your product or service. It’s also worth nothing that SEO comes in many forms and, when trying to sell a digital service, you can use video and other means to help achieve this. By creating explainer videos and other visual media, you can better showcase your services while also providing content that people appreciate. This can be hosted on your own website, as well as via other popular services (such as Youtube) to further drive traffic. Likewise, if you’re operating in a specific niche, podcasts and other content within that industry will help establish you as an authoritative source, while also improving your online visibility within that area. Similarly, for fast-paced industries, it helps to be responsive to your audience. Alongside videos and podcasts, you can consider social media. This allows you to interact with your customers, gain valuable feedback and further promote your brand people who are interested. This is a great way to offer information about updates, for example.